Our puller sets and bearing puller maintenance kits are made by Power Team, so quality is guaranteed. With over 80 years’ experience, Power Team have blended meticulous performance and reliability to create a hydraulic puller set that is of the highest possible standard. From an individual hydraulic puller kit to a comprehensive hydraulic puller set, all of our Power Team bearing puller sets come with their Lifetime Marathon Warranty, so you have the ultimate peace of mind. Here at SGS Engineering, we aim to make expensive downtime a thing of the past with our puller sets and bearing puller maintenance kits. With a wide range of options available, including a wheel bearing removal tool kit and bearing removal kit, we’re certain to have a bearing puller set that suits your needs. Plus, with lifetime warranty options as well as next day delivery available on all our bearing puller kit and puller sets, there are a number of reasons why you should shop with us. 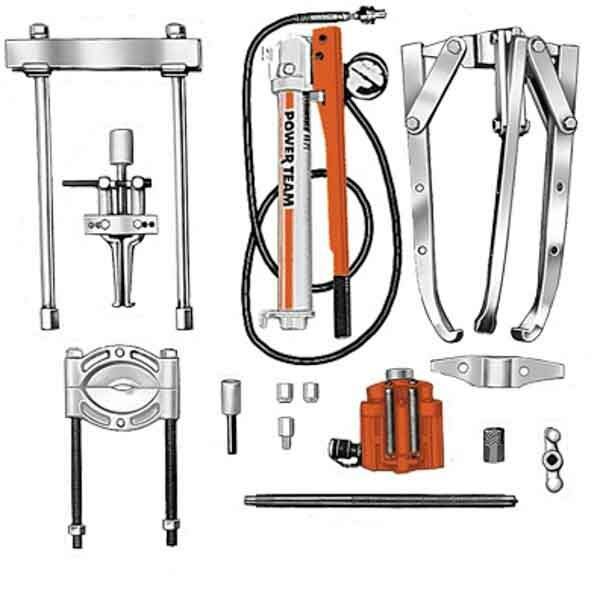 So browse our site for your perfect hydraulic puller set online today.